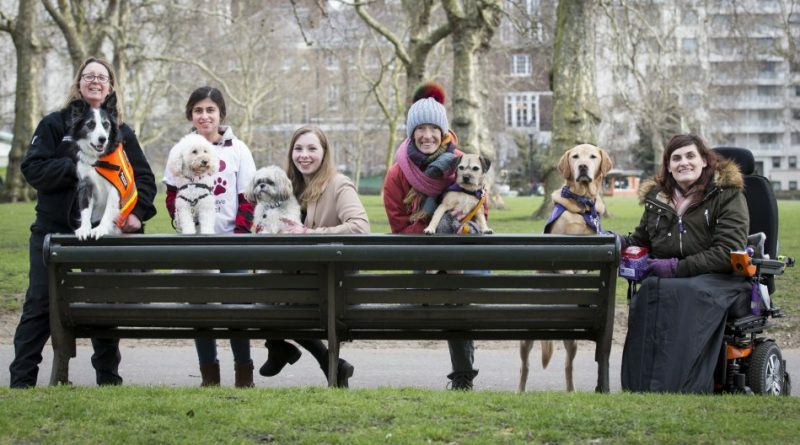 The Kennel Club has announced the five hero dogs who will compete in the public vote for the prestigious Friends for Life award at Crufts 2018. The annual competition at Crufts celebrates the unique relationship people have with their dogs, the important role man’s best friend plays throughout our lives and the support they give us in the face of adversity. Sir Jack Spratticus the Border Terrier and Vanessa Holbrow aged 47 from Burnham on Sea, Somerset. Jack is a rescue Border Terrier who has completely changed his owner’s life by helping her deal with complex mental health illnesses. Waffle and Sarah Mohammadi from Hayes. Waffle is a hearing dog who has become the ‘ears’ for his young owner and helped her reconnect with everything around her. Taz the Border Collie and Gayle Wilde aged 39 from Lanarkshire. Taz is a search and rescue dog who has spent his life working in adverse conditions to help find missing persons, from murder enquiries to a helicopter crash. Griffin and Clare Syvertsen, aged 29 from Northolt. Griffin has become a lifeline for a lady with Ehlers Danlos syndrome and undertakes over 100 different tasks for his owner, from picking up the phone to loading and unloading the washing machine. Buttons the Shih Tzu and Hannah Gates aged 19 from High Wycombe. Buttons taught himself how to be an assistance dog and has given unending support to his owner through serious illness and given her a new life to look forward to. The winner will be revealed in the Genting Arena at Crufts on Sunday 11th March at 5.20pm. You can see a list of all the shortlisted entrants here.